Anyone can audition for a show at Spokane Civic Theatre! We try to provide adequate character information for each production so everyone can decide which role is best for them to audition for. We recommend that your outfit be more business casual, but something that you are comfortable in and can move in. If a director requires dance clothes or specific shoes, that information will be listed with the other details about that specific audition. Can I read the script before my audition? 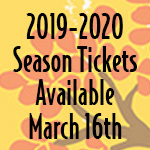 Yes, Spokane Civic Theatre keeps copies of all scripts for the season in the Box Office that are available to be read either during Box Office hours or can be checked out for a $20 deposit (your deposit is returned if you bring the script back before the auditions). If you are looking to check out a script, please call the Box Office at 509-325-2507 at least one hour before you would like to pick it up. For musical auditions, can I bring my own track music? For all of our musical auditions Spokane Civic Theatre will provide an accompanist for your audition. Please bring piano sheet music for them to play while you perform. Can I perform a monologue or a song from the show I am auditioning for? In order for our production teams to get an impression of you as a performer, we like to see you audition with content not from the show you are auditioning for. Are there auditions for the Academy? The academy classes that are offered each quarter are not audition based and anyone in the age range of the class may sign up to participate. The intensives and other special performance camps may require an audition, so please check our audition page for any Academy shows that are coming up for auditions. Please be prepared for cold readings from multiple scripts. Cutting Edge Beauty: 7W,2M,with doubling. A raging satire centered around a teen web channel and it’s cult following. Eggs Over Easy: 2M,2W. A tender snapshot of four seniors gathering for breakfast at the local McDonald’s, and their struggle to carry on. Meta… : A two-hander, involving a retiring reference librarian who butts heads with a gonzo and somewhat desperate high school student in a local public library. Mother’s Day: 3W. In this hilarious comedy, three generations of women -mother, daughter and granddaughter – finish up a Mother’s Day outing in an unruly fashion at a prestigious museum. Puppies and Kittens: 2W,1M. An unsettling drama about a woman who returns to her boyfriend’s place after a trip to find unexpected company, and must choose to stay or go. Streamliners Across America: 2M,1W. A wistful drama set in the 1950s about a young boy and his mother’s encounter with the engineer of a train heading West. The Great Fish and Jonah: 1W,1M(VO). A refreshing and hysterical re-telling of the Biblical tale of Jonah and the Whale (errr “Great Fish”). The Green Light in the West: 2W,1M. A mysterious tale of three souls marooned on a deserted beach, and their search for a way out. The Sitting: 1W,1M. In this intimate drama a recent widow keeps an appointment for a portrait arranged by her late husband, with unexpected results. A rock musical based on the controversial German play which was banned in Germany for sometime due to its frank portrayal of mature themes including sexuality and abuse. Set in late 19th century Germany, the musical tells the story of teenagers discovering the inner and outer tumult of sexuality during a time of sexual oppression. Please prepare 32 bars of a contemporary musical song or a pop/rock song in a style similar to Spring Awakening. Please bring sheet music – an accompanist will be provided. Cold reads from the script will take place at Callbacks. 25 (this story explores mature themes – minors’ family/guardian consent required). – Instrumentalists who sing and act encouraged to audition. A smart, headstrong boy who refuses to bow down to society’s rules. An atheist and radical student. Struggles with his intense feelings for Wendla and his awakening sexual urges. Innocent. With every passing day, she grows more curious about the world around her and her changing body. Both vulnerable and a willing participant in her evolution, explores her newly-found sexuality with Melchior. Melchior’s best friend. A troubled student, desperately tries to please his father and always seems to disappoint him. His haunting sexual dreams and academic failures eventually drive him to suicidal thoughts. A rather narcissistic schoolmate of Melchior’s, is comfortable with his own sexuality and uses his looks and intelligence to captivate Ernst. A schoolmate of Melchior’s. Naive and easily manipulated, which allows him to fall in love with Hanschen. Martha’s sister, who was also abused and has run away from home to live in an artists’ colony. She reaches out to her old friend Moritz in the last moments of his life. A schoolgirl who faces constant physical abuse from her father. She harbors a secret crush towards Moritz. A clumsy schoolmate of Melchoir’s. He is overcome with his feelings for his piano teacher. A classmate of Melchior’s. He struggles with feelings he considers inappropriate. A German schoolgirl and Martha’s best friend. Optimistic and a bit naive, she has a difficult time understanding Martha’s trials. Wendla’s best friend. A schoolgirl who tries to stay innocent and pure. Set in the St. Petersburg along the Mississippi River, Tom Saywer tells the coming-of-age story of the community’s most mischievous boy and the many adventures he encounters with his friends, such as forming a pirate gang with Huck Finn, wooing Becky Thatcher, and running away from home. Tom learns what it means to be a friend, and more importantly, what it means to do the right thing, even when it’s not the easy thing to do. A tale that has endured over generations about friendship, self-confidence and community. The most mischievous boy in St. Petersburg, Missouri. Learns a lot about doing the right thing. Tom’s best friend. Creative in his troublemaking, and perhaps a bit more wild than Tom. Girl who is new to town, and quickly becomes the object of Tom’s affection. Tom’s strict and annoyingly proper aunt who has taken him in. New to town, begins as a bully but soon becomes a member of Tom and Huck’s gang. both the son of the deacon and a member of Tom and Huck’s gang. the youngest member of Tom and Huck’s gang. Becky’s brother who also quickly befriends Tom and Huck. The town ne’er-do-well, often drunk and seen as a good-for nothing. The town criminal- he is both mysterious and feared. Father to Becky and Jeff, and the new judge of the town. the town’s eccentric and quirky medicine man. a competitor for Becky’s affections, is well-dressed, smart, and admired. The new Methodist minister in town, and the head of the orphan’s home. young daughter of the Deacon and new school student. Ensemble: Townspeople, Churchgoers, School kids, Gang members, etc. Please prepare 32 bars of a contemporary musical song. Please bring sheet music – an accompanist will be provided. A bright, nerdy boy who is excited to become a man. New in town and trying to find a place to fit in, he eventually becomes close with Patrice and Archie. Our story’s protagonist. A shy, intelligent, bookworm. Archie’s best friend and Evan’s new friend. A wannabe popular kid and one of Brett’s sidekicks. The bubbly, popular, head cheerleader. Lucy’s best friend and unknowing rival. A good-humored, intelligent, unpopular kid. Patrice’s best friend who has to use crutches. A manipulative girl who secretly desires to have Kendra’s boyfriend. Sneaky and feisty.